Consider me floored to hear Ruby and Annie accuse Beth of “crawling out of [her] skin like a frog in a slow boil,” because the boiling-frog fable is one I’ve considered using in just about every Good Girls recap I’ve written so far. Now they’ve beat me to the punch, and it must be because the sense that we’re watching three incredibly well-coiffed frogs slowly boiling past the point of no return was quite intentional. Well done, chefs. As the fable goes, a frog put straight into boiling water would just hop out, but if it’s put in water that’s slowly brought to a boil, the frog won’t realize it’s in danger until it’s too late to escape. Sound familiar? When Annie and Ruby compare Beth to a frog slowly boiling out of its skin, they’re referring to her boredom at having to pause her life of crime and head back to PTA meetings and playdates. They’re not exactly using the metaphor in the correct context, but I wouldn’t expect them to — they’ve got a lot on their plates right now. These frogs are boiling and they know it. What Ruby, Beth, and Annie don’t seem to sense, though, is just how far down the morality ladder they’ve slipped. What started as robbing a local grocery store, turned into cleaning cash for a gang, turned into a blossoming tri-city pyramid scheme, and has now turned into personally attacking another woman’s business for their own financial gain. Annie being so petty in regards to another (sure, annoying) woman’s hard-earned income was tough to watch, but in the end, I think it was necessary to show just how far these women have sunk. Last week, with Ruby’s special-sauce story, they were reminded it would be impossible to go back to the lives they once knew; in “Shutdown,” it becomes clear that they can’t go back to the people they once were either. These frogs are stuck in a pot of their own making. That realization starts with Beth coming into her kitchen to find that all her counterfeit cash has been taken from her (truly silly) cereal-box hidey holes. When she confronts Rio about it at a dreamy hipster coffee shop, he reminds her that it’s actually his money. One of his associates got picked up, he tells her: “When I feel heat, I don’t mess around.” Smart. I’m really enjoying the turn of Rio from an omnipresent threatening force to a wise criminal sage. He still loves to threaten, of course, but as a successful criminal entrepreneur, he also likes to give advice to his promising apprentice. The thing is, unlike Rio, these women don’t have the option to hop out of their pots once he informs them that he’s instituting a company-wide shutdown until further notice. Even though they’ve made quite a bit of money to put away toward their former debts and expenses, they’ve also acquired a new financial burden: Mary Pat. Now, Mary Pat is a frustrating foe, there’s no doubt about it, but in a very strong turn for the series, it’s because she’s such a worthy one. Much worthier than, say, Boomer, who could probably be “taken care of” without much moral hand-wringing from Ruby, Beth, and Annie. But in cunning Mary Pat, our leading ladies sense an equal: She’s a mother who is desperate to provide for her children, and like Beth, she seems to find a certain gratification in using her mind to cheat the system. Is her choice to extort them for money any worse than them cleaning money for a gang? Of course not. Which makes it all the more infuriating when she shows up to Ruby’s daughter’s soccer gang and starts asking Stan some hypothetical police questions about what to do if someone stole money from her mailbox. Ruby knows the questions are more like a threat, pointed at the fact that this month they only gave her a portion of the $10,000 that she’s demanding for her silence. 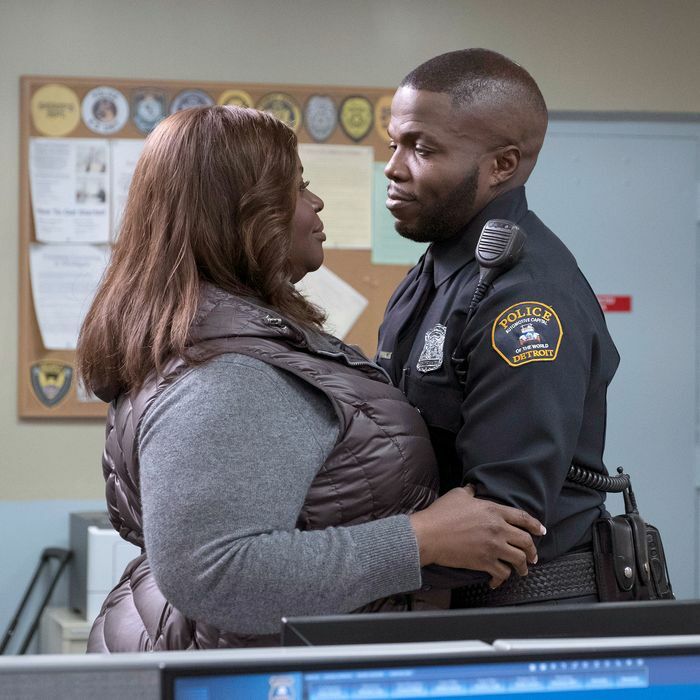 She marches into Beth’s house and announces that they have to do something to get Mary Pat her money, and Beth suggests they organize a “low stress” 7-Eleven robbery. My, how far we’ve come! Annie isn’t feeling it, given that she’s currently facing a federal drug charge … until Greg’s wife comes into the living room during her supervised visit with Sadie and asks her not to lean her head back on the couch because the last time she was there she got “hair oils” on the expensive cover. That is a ridiculous thing to ask of another person, yes, but it’s also not a reason for Annie to rob Nancy’s aesthetician business, which is exactly what she suggests they do for money to pay Mary Pat. Nancy just opened a third spa, so the women plan to split up and simultaneously enter each spa location as a patron, then find their way into the supply room and steal all the vials of Botox. Like, thousands and thousands of bottles of Botox, which they apparently just carry out in clink-clink-clinking paper bags. It’s their dumbest plan yet, and luckily it plays out as such. Annie thought she could sell the “injectables” to the drug dealer who works at her grocery story, but he assumed she meant heroin, and he doesn’t have any middle-aged clients. Now, not only have the robbed a female entrepreneur of $40,000 worth of product, but they’ve also done it for no reason at all. The idiocy of it all is driven home for Ruby when she asks one of Stan’s co-workers to scare her daughter straight, since she was caught selling stolen fidget spinners at school. Ruby is worried that she’s the reason Sarah has taken a turn toward the dark side, but she’s even more afraid of the jail cell she and Sarah tour that serves as a bedroom/bathroom/kitchen/toilet-wine-vineyard. That means there’s just Beth left to make money off this stolen Botox, so she once again heads into office hours with Professor Rio to see if she can pitch him on selling the product. He sees right through her desperation for money and asks, “How’s the rotten egg?” Beth continues to insist that she’s handled it, when she knows full well that she hasn’t. Instead of finding a way to pay their own bills, Beth and her friends have found a way to add another family’s bills to their financial burden. “Let me tell you something,” Rio says to Beth, “you ain’t no boss, and on the real, you ain’t gon’ be nothing ‘til you put your house in order.” Class dismissed. If you thought Beth had taken Rio’s advice extremely to heart and was threatening a baby, you are not alone. But she really means that now, with $20,000 pocketed, Mary Pat is just as much a part of the shady activity she’s using to extort them as they are. Beth looks out at Mary Pat’s rowdy kids, says, “Imagine if you were in prison,” and turns her back on a startled Mary Pat to leave. “Hey Beth,” Mary Pat calls out, “I’ll see you next month.” Damn, these two! If Beth doesn’t look at Mary Pat and see herself, she’s being willfully blind. And if she doesn’t also see an opportunity to turn a cunning adversary into a worthy ally, then Rio is right: She isn’t the boss she thinks she is. • Between Manny Montana, Allison Tolman, Zach Gilford, and our beloved three leads, this cast is so stacked with people who deserve to be on our TVs. It would be a tragedy not to get a season two! • Beth/Rio ShipperWatch: He tells her not to put anything in her face because she doesn’t need it, and we get a single good-bye arm graze to hold us over until next week. • Why on Earth did Annie hold up that musical-theater-loving couple’s car instead of just asking for their parking pass?